Back pain is one of the most uncomfortable and exhausting health conditions that doesn’t merely hinder your daily activities, but also affects your peace of mind. It usually occurs due to injuries, repetitive activities or some underlying medical condition. While it can affect any individual regardless of their age, our chances of developing this crippling pain increases as we grow older. If you’re diagnosed with back pain, one of the simplest ways to treat your ailment is by performing regular exercise. When you engage in exercise, you inadvertently keep your back healthy because your discs get a chance to exchange fluids which in turn also provides them the necessary nutrition. Interestingly, the benefits of the fluid exchange don’t merely end here. This exchange also assists in reducing the swelling of other soft tissues that are naturally found along the injured discs. The second, and yet another pertinent benefit of exercising is the fact that it significantly reduces the stiffness by increasing the flexibility of the fibres in your ligaments and tendons. Enhanced mobility through these back exercises also ensures that the connective fibres are healthy, even at the time of stress. This, in turn, prevents the possibilities of injuries or back pain in the long run. Finally, exercise also stretches and repairs the muscles that consistently support your back. Your back and internal muscles appear to be an internal corset that supports your facet joints, the vertebrae discs and also your ligaments. So when your, abdominal and back muscles are weak, they aren’t able to support your back consistently. And this is exactly where exercising comes to play. The right kind of exercise will assist in repairing these supporting muscles which in turn prevents the straining of your soft tissues. 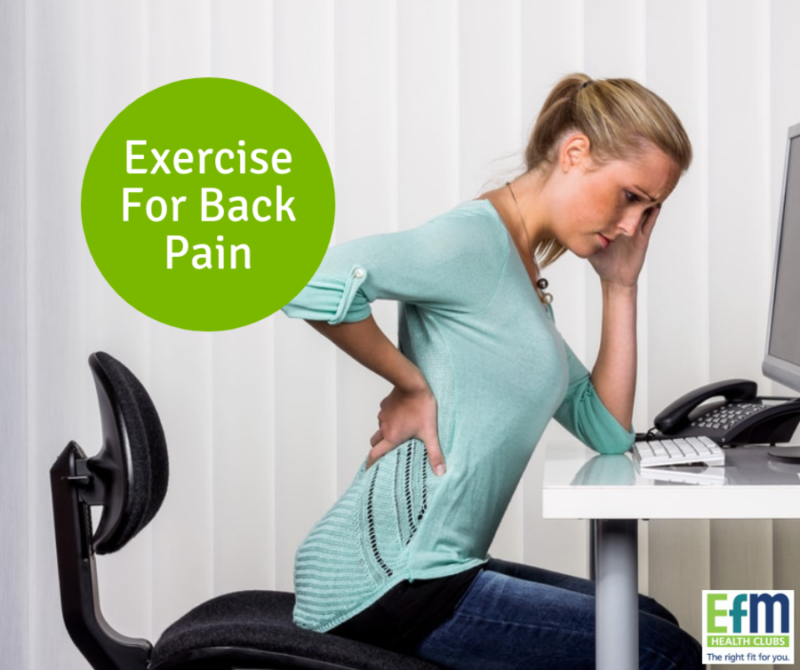 When it comes to exercises to reduce back pain, there are very many options to pick from. In this section, you’ll find a list of the best back strengthening and back pain reducing exercises. Exercises such as brisk walking, even jogging, riding and swimming are all fantastic options for reducing back pain. One of the things to remember with back pain is that movement of the spine allows it to nourish itself, exchange fluid and improve over time. Movement actually will reduce pain over time. So any form of activity that promotes gentle movement should be beneficial. And of course, if you exercise regularly there is a fair chance that you will lose weight, which also can help with reducing pain as the spine will be holding less load. Partial abdominal crunches can play a vital role in strengthening your stomach and back muscles. While you shouldn’t try them when you have intense back pain, you can always try it during moderate to low upper/lower back pain. With the right breathing techniques and incredibly soothing poses, yoga comes with significant benefits for your spine. Yoga is fantastic for promoting flexibility and movement to nourish those joints! Of course, it’s advisable to check with a medical professional about any back pain before embarking on a self-directed exercise program.